Two zines, both on their first issue, both are pretty damn cool. 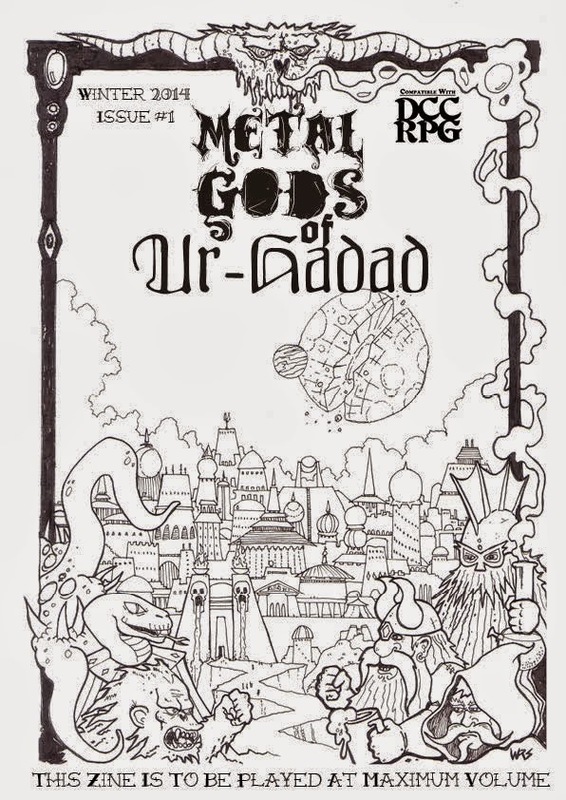 Metal gods of Ur-Hadad looks to be focusing it's considerable energies on the single location of its titular city. The content is light on rules, high on flavour and random tables, painting in broad strokes the image of a post apocalyptic, sweaty, and brutal place where mankind lives on top of itself in layers, one crushing the other into a fine pulp, all clinging to an indifferent world that will brush them away before long. So, idea rich and high concept, exactly how I like it. It reminds me of the city of Duhn from GOD KILLERS: ancient, cyclopean, it's inhabitants little more than parasites on its face. The city is its own character and it doesn't much care for you. It's about time I talked about Secrets. I've had this for a while and neglected to give it a good going over. Again, this zine is based on its own setting, and again is mostly lists of things. Which I like. The bulk of it is magic and items, neither of which are quite to my tastes, being more of a standard old fashioned D&D fair. The monsters however, are great. 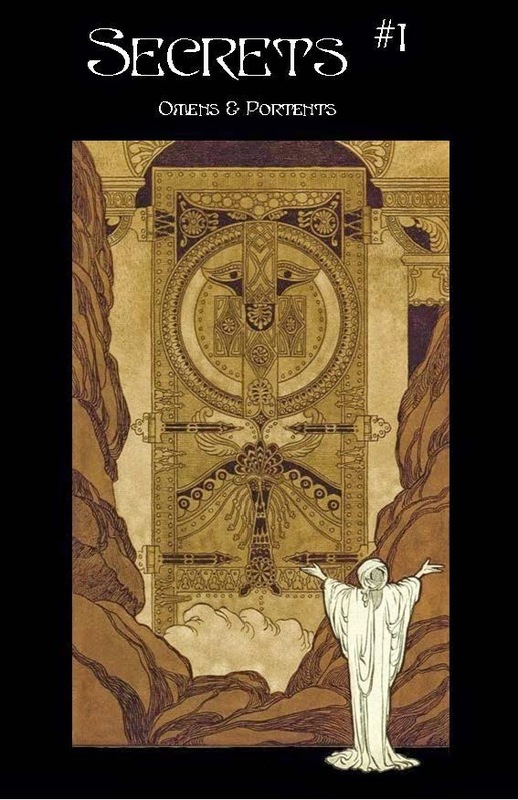 Each one reads like it came out of a medieval grimoire, as weird and blatantly made up as those things always seem. They're weird and charming and best of all come with a mini-adventure attached. These little vignettes place them firmly in the world and show you how the author intended them to be used. This is so obviously a great idea that I may just judge everyone who doesn't do this in the future a little worse. So yea. ZINES! Go give these people your money so they'll write more things for me.